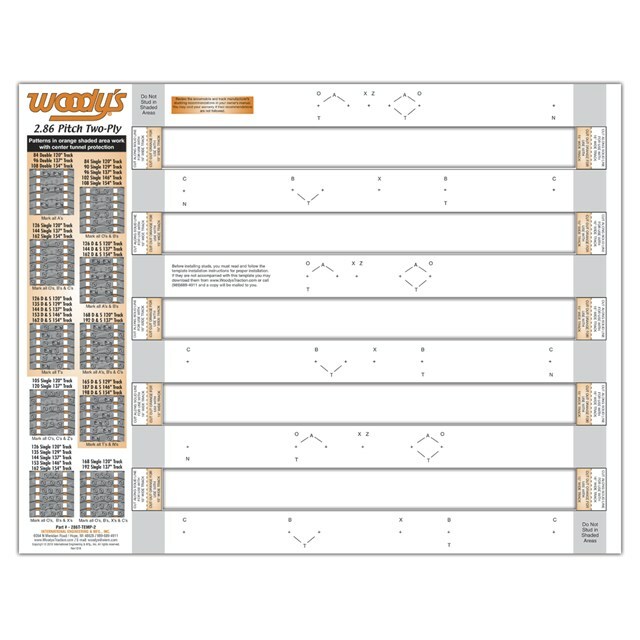 The 286T Template is made from heavy card stock for two-ply tracks. Designed for 2.86 pitch snowmobile tracks that are 15" / 16" wide by 120" / 129" / 137" / 146" / 154" long. Several options for studding quantities and patterns.